Read moreking for a nice ancorage or for a nice village, you will not be disappointed.There are good marinas and well organized anchorages." Split is the largest city on the Adriatic coast. It is full of impressive sights to see, has brilliant restaurants to try and great marinas to start a Croatian sailboat charter. There are numerous coves and beaches for you to anchor and relax in. 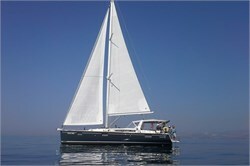 Split is right departure port for boat rental vacations to the nearby islands Vis, Hvar, Brac or Korcula. 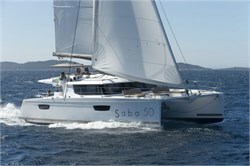 Split offers you great infrastructure for yachting as well as an unforgettable experience due to its own unique beauty. 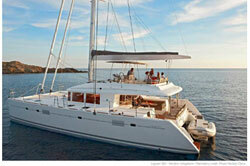 Sailing yacht charter Split is one of a kind, so let us tell you a bit about it. Going on a boat rental from Split - How to get there? Split is very easily reachable. Its international airport lies 24 km north-west from the city. It is the second largest in Croatia after Zagreb and handles millions of passengers every year. Throughout summer there are plenty of seasonal charter flights to mostly all larger European destinations, so going on a sailboat holiday in Split is really easy. Should you prefer travelling by car, you can rely on a well-developed network of roads in Croatia and the Adriatic Highway will take you straight to Split. Split is also well-linked by ferry with Italy and there are many ferry connections from Split to the summer resorts and ports of the Dalmatian coast line. Which marinas in Split are best suited for bareboat charter yachts? Split ACI Marina, south-west of the historic centre, has 364 berths for yachts up to 80 m. It is nicely protected by a long breakwater and offers a full range of services and repair facilities. Marina Lav Split, with the adjoined luxury resort Le Meridien Lav, is situated 8 km south-east from the centre of town and has 74 moorings for boats up to 40 m. There are restaurants, bars, a spa and wellness centre, an in- and outdoor pool, a casino and nightclub, beaches, a kindergarten, a laundry service and many more facilities that visitors of the marina can use. Marina Kastela, 7 km from the airport, can host 400 yachts up to 100 m and features all basic needs like water and electricity as well as some nautical services. What has Split got to offer for après sailing? Sightseeing in Split is great. A must-see is the Diocletian´s Palace and Mausoleum dating to the 4th century. It is one of the best preserved roman palaces. Visit the Grgur Ninski Statue or the Cathedral and Bell Tower of St. Domnius - you can walk up the tower and see Split from above. The entire Old Town with its maze of streets is wonderfully picturesque. Stroll along the Riva, which is the water promenade. Check out the Archaeological Museum boasting many Roman ruins and artefacts. For relaxation chill out at the city beach of Bacvice, for instance. There is great shopping in the huzzle and buzzle of the vibrant Old Town - you encounter many elegant as well as very funky boutiques and galleries. Go for a wine and cheese tasting, for instance in the Library Jazz Bar Marcus Marulus. Sample local produce from Croatia and Bosnia in 15th century atmosphere surrounded by about 1,000 books. The bar is located in front of the City Museum in Old Town. Try the Dalmatian cuisine that contains lots of seafood but also very hearty dishes like roasted lamb. For a taste of the nightlife try the Hemingway Bar in the centre or join a pub crawl if you want to meet other people. Watch dolphins or sea turtles. Do water sports like diving, snorkeling, fishing, water ski, wakeboarding, kayaking and many more. Or hire a bike and cycle around the area. In Split you have plenty to do and explore, so go ahead and soak up the beauty of this amazing Dalmatian city. 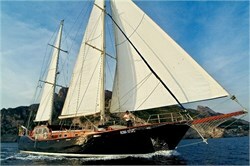 Which ones are the best yacht charter escapes from Split? The lovely city of Trogir is only about 8 nm away and you can just as easily sail to Ciovo, an island just off the coast from Trogir. Go to Drvenik, or Solta with the beach resort town Maslinica. Both islands are only about 10 nm from Split. Head to Brac with the beautiful Zlatni Rat beach that features on so many postcards and enjoy gorgeous Lucica Bay with its amazing turquoise water. Visit the villages of Bol and Milna. Buy some local olive oil and sheep cheese or try the lamb that is the local speciality dish. 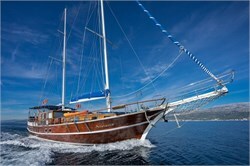 Anchor and swim in the breathtakingly beautiful Stivina Bay on Vis Island, ca. 27 nm from Split. Go to Ravnik, a mini island just south of Vis. Well worth visiting there is the so-called Green Cave, it is very large and you can enter by boat. Then there is the close-by neighbour island Bisevo with the amazing Blue Cave for which you need tickets to enter. Snorkel in the Blue Lagoon of Budikovac Island, also just south of Vis. The island is inhabited by only one person all through the year. Cruise to lively Hvar Town with its Venetian palaces and charming streets and squares. Visit Hvar Fortress. Head over to the Paklinski archipelago off the south-west coast of Hvar. It lies opposite the entrance of Hvar harbour. The name is derived from the pine resin that used to be harvested there and employed to coat the boats. It is a 10 km long chain of islands with a very indented coastline, providing numerous coves for anchoring, snorkeling and fishing, for instance, beautiful Palmizana Bay. Korcula, about 32 nm from Split, and its gorgeous old town with nice souvenir shops and galleries is calling. Then there is the Lastovo Archipelago Nature Park, south of Korcula, with absolutely stunningly pure, untouched nature. Last not least sublime Mljet National park, approx. 60 nm from Split, has equally unspoilt nature for you to admire. Those are only a few suggestions. There is a lot more to discover and the destinations for sailboat charter Split are sheer endless and all undeniably beautiful. 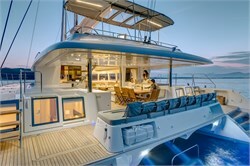 How to charter a yacht in Split? In order to do sailing or motor yacht charter in Split you will require a skipper´s licence or proof that you have sufficient sailing experience. The alternative is to hire a yacht with a skipper. Additionally, a radio licence is needed, which you could do there in a crash course in case you haven´t got any. All you need to do then is to decide whether you want to do bareboat or skippered yacht charter and if you prefer motor or sailing boat rental respectively catamaran hire. There are some very professional companies for yacht rental in Split and you can use YachtFinder to get the best offers and find the perfect charter combination for your individual sailing holiday. 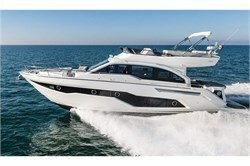 Contact us for more detailed information on charter yachts and conditions.